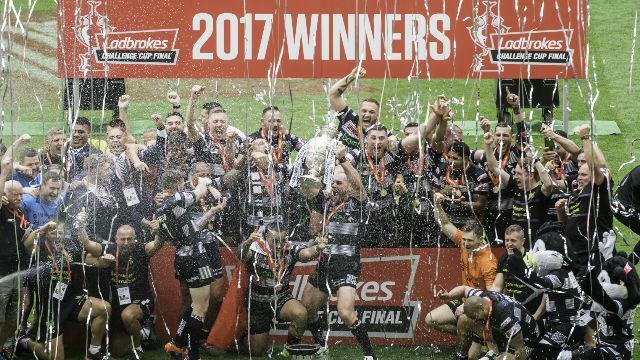 See the pinnacle of the Rugby League season as the country's best two sides battle it out for the trophy in the Ladbrokes Challenge Cup Final at Wembley Stadium. 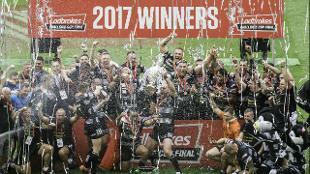 Taking in nine months of exciting Rugby League action, the Ladbrokes Challenge Cup is the sport’s most prestigious competition. This historic knockout tournament is the only one of its kind to feature clubs from all levels of the sport, from small grass-roots clubs to the country’s best professional teams – but only two teams can make it to the final. 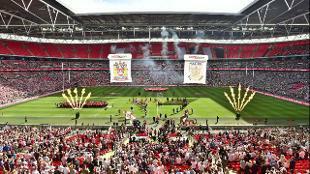 In 2018, the Catalans Dragons upset the odds and wrote its name into the history books, beating Warrington Wolves to lift the Challenge Cup. It was the first time in history a non-English side won the famous trophy. Take your seat to experience fast-paced on-field action, and enjoy a whole day of rugby fun, including live music and a friendly atmosphere for all the family.